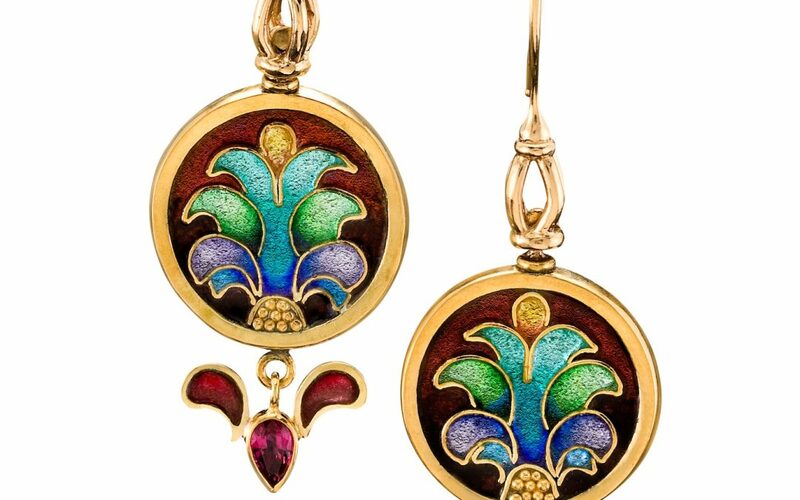 Contact Patsy Croft Cloisonné Enamel, Goldmith & Jewelry Designer. Contact Patsy Croft Cloisonné Jewelry Designer and instructor. I am a cloisonné jewelry designer, studying beauty, and this waste and over-consumerism impacts me profoundly. Therefore, I am committed to create a quality jewel, enamel jewelry that lasts, that is timeless. I execute my art to be one-of-a-kind, that become cherished family heirlooms, and speak to permanence, striking natural beauty and using adornment to set oneself apart. I also dedicate myself to sharing what I’ve been fortunate to learn. As an instructor, I teach the fine art of cloisonné jewelry because I enjoy to help others develop their art. I am not afraid to give out my secrets. I feel that artists, as a group, can grow faster when we share, and in sharing, this brings our art to a different and higher level. My one-on-one classes in my studio allow my students to focus on their own needs, learn in less time, and grow.